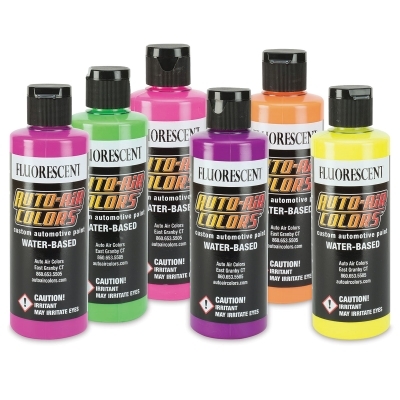 Vivid neon Fluorescent Colors are very transparent with a semi-gloss finish. Use them over AutoBorne Sealer White or a light background. These colors have limited lightfastness compared to other Auto Air Colors. Not recommended for long-term exterior finishes.